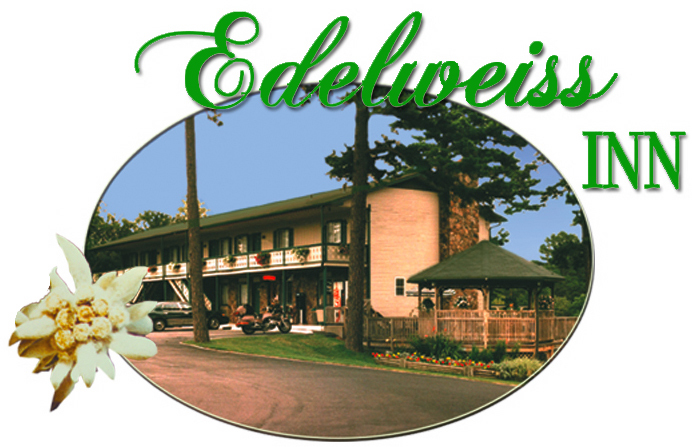 Edelweiss Inn - Conveniently located on Hwy. 62 East, right across from the new Eureka Springs Harley-Davidson and the Pine Mountain Theater, plus it's close to two shopping centers and several excellent restaurants. Their rooms are all non-smoking, affordable, comfortable and exceptionally clean, with either a king or two queen beds. Each room features a flat screen TV, refrigerator, coffee makers, hairdryers and free WiFi. They offer a continental breakfast, outdoor decks/seating areas and a trolley stop at our entry way for easy access to downtown and the immediate area. You can either check availability and/or make reservations directly online via their website, or call them at (800) 870-2529 toll-free or (479) 253-7316. BEST WESTERN Inn of the Ozarks - 3031 East Van Buren, Eureka Springs. One of Eureka Springs' favorite lodges to book your riding group. They make you feel like family when you stay here. Experience full-service lodging in a picturesque setting near historic downtown Eureka Springs, Arkansas. Pet-friendly hotel; 122 guestrooms, 4 are suites. Delicious food served at Myrtie Mae's Restaurant next to lobby. Call (877) 363-9710 or (479) 363-9700 to make your reservations. 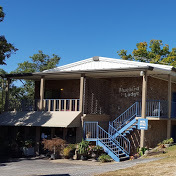 Bluebird Lodge & Cottages - The Bluebird Lodge is nestled in the Ozarks, conveniently located on Highway 62 between Eureka Springs and Berryville. New owners Misty and Kyle Waitkus have completely renovated and redecorated the property, and they'll make you feel right at home. After a long ride, relax and unwind in a jacuzzi tub or sit on the walk out balcony and watch the sunset behind a backdrop of amazing views. Reasons to stay here include: newly renovated themed rooms, scenic views from your private balcony, spacious jacuzzi tubs for relaxation, cable TV & free WiFi, microwave & fridge, shuttle service to downtown Eureka Springs. Located at 5830 Hwy 62 W, Eureka Springs. Book your reservation by calling (479) 244-5412 or book online. 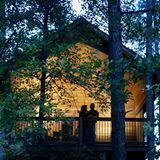 Eureka Sunset Cabins - You'll love the privacy and peaceful setting of these cozy cabins, just minutes from the heart of downtown Eureka Springs. Enjoy their quaint cottage style rooms, each with its own personal entrance. Designer-quality cabins have a rustic yet elegant charm, on six wooded acres. Fireplaces and jacuzzis. Friendly staff make you feel right at home. Enjoy the perfect getaway vacation. Located off Hwy. 62 at 10 Dogwood Ridge, Eureka Springs. Call for reservations: (479) 253-9565.